It appears the feature is rolling out now and fully functional, though it is still apparently not yet usable for some (i.e., it cannot be activated). 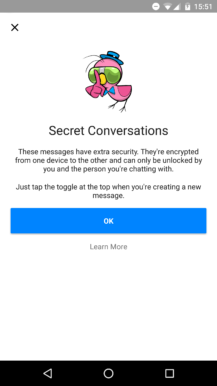 A few months after WhatsApp started encrypting all conversations by default, and a few weeks after Facebook announced encryption was coming to Messenger too, Facebook has turned on the security feature, with 'Secret Conversations' available to beta testers of the app. 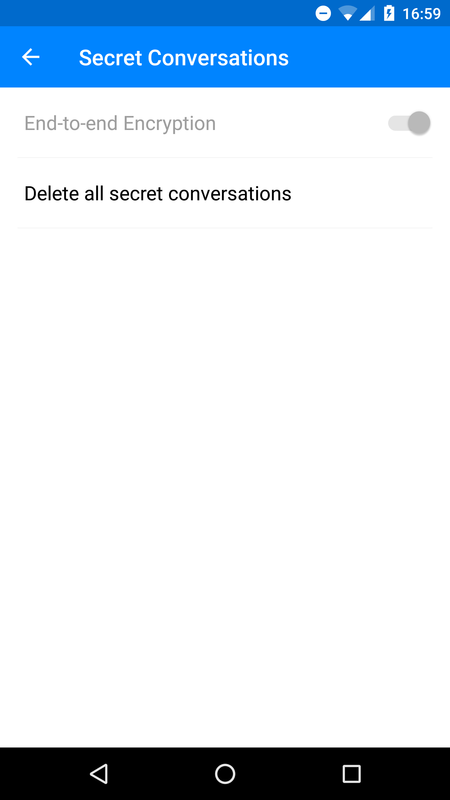 Secret Conversations do have a few caveats users should probably be aware of. They are not turned on by default, and neither is end-to-end encryption. A normal Messenger conversation can be made secret by a toggle - more on that in a minute - and these conversations will be encrypted. If you have two conversations with the same person in your Messenger inbox, that's because one is secret and the other is not. Also, if encrypted, a conversation can only be on a specific device, and will not be seen on any other devices you use or own. 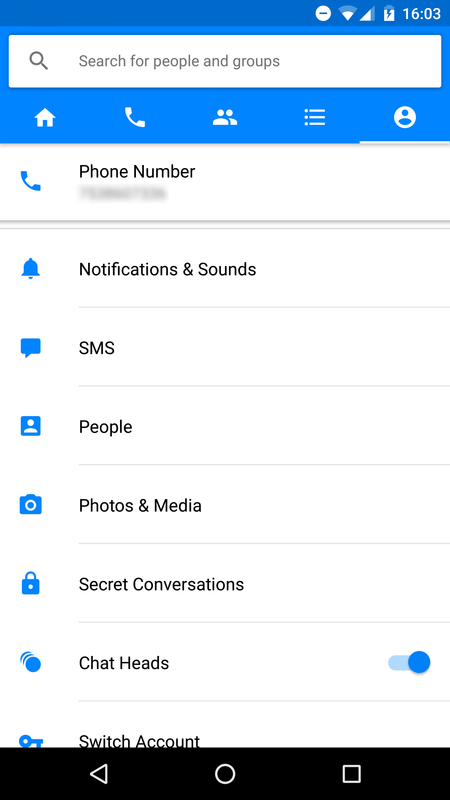 Right: Secret Conversations in the settings tab. Middle: information screen. 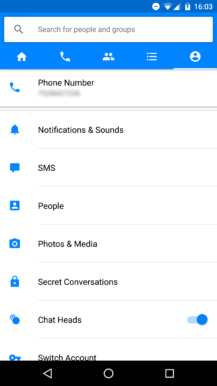 Left: settings Activity. 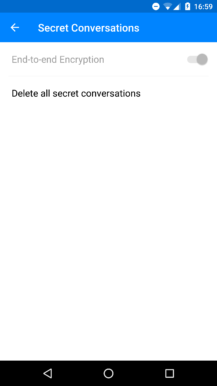 This option doesn't exist at the moment, meaning while Secret Conversations are technically announced, they're not actually usable. Bummer. We think the above is available to all beta testers to see, but cannot be completely sure since Facebook regularly employs so many A/B tests. 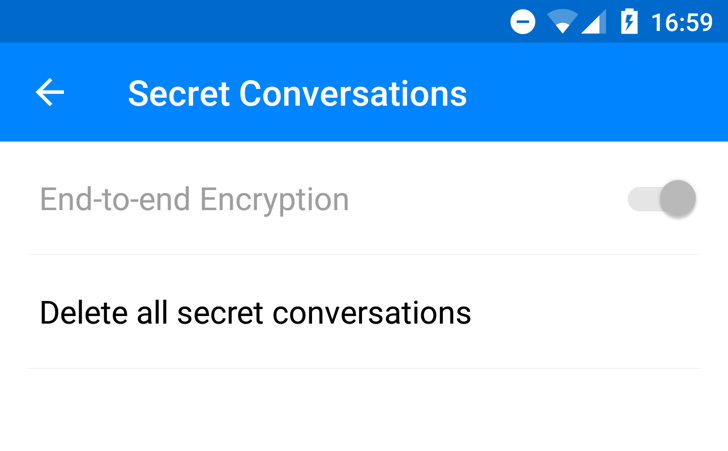 If you're not in the beta and have Secret Conversations available, let us know. In the meantime, we will continue to watch out for when the feature is actually usable. If you don't want to join the beta (don't forget to join the Google Group first), the APK is available from our sister site APK Mirror.